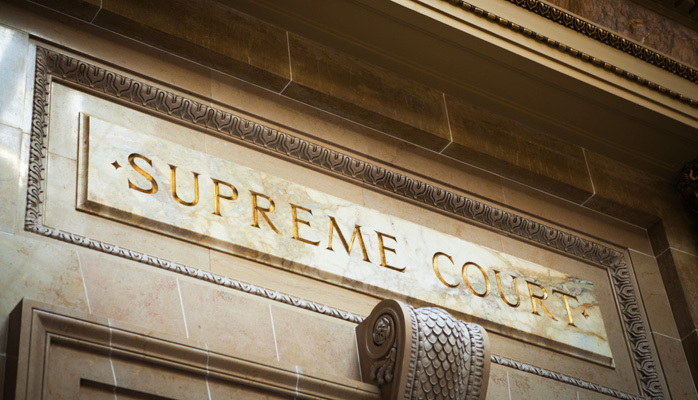 On June 29, the U.S. Supreme Court struck down the EPA’s Mercury and Air Toxics Standards (MATS), an Obama administration effort to limit toxic emissions of mercury and other hazardous air pollutants (HAPs) from Electric Generating Units (EGUs). In a 5-4 decision under the name Michigan v. EPA, the Court held the EPA unreasonably interpreted the Clean Air Act (CAA) to not require consideration of emissions reduction costs when it decided whether to regulate HAP emissions from EGUs. The 1990 amendment to the Clean Air Act included several provisions to force reduction of EGU emissions that according to Justice Scalia “were expected to have the collateral effect of reducing [their] emission of [HAPs].” So, Congress directed the EPA to study public health hazards posed by HAP emissions from EGUs and regulate the emissions under Section 112 of the Act if the Agency found that to be “appropriate and necessary.” CAA §7412(n)(1). In 2000 the EPA found regulation of HAP emissions from oil and coal fueled EGUs to be appropriate and necessary without giving any consideration to the costs or benefits of such regulation. Then in 2012 the EPA reaffirmed that finding and issued its final MATS rule mandating the same level of EGU HAP emission reduction required of other major sources covered by Section 112, reduction achievable with Maximum Achievable Control Technology. The EPA estimated the rule would cost industry nearly $10 billion a year, and when ancillary benefits are not included, estimated benefits provided by the rule to be worth $4 to $6 million per year. “The Agency gave cost no thought at all, because it considered cost irrelevant to its initial decision to regulate,” Scalia wrote. Several states and industry challenged the EPA’s failure to consider costs and the Court agreed on Monday, ruling that the EPA must consider compliance costs when determining whether regulation of EGU HAP emissions under Section 112 is “appropriate and necessary.” The Court held, “EPA must consider cost—including cost of compliance—before deciding whether regulation is appropriate and necessary. It will be up to the Agency to decide (as always, within the limits of reasonable interpretation) how to account for cost.” The Court remanded MATS to the D.C. Circuit to decide how to proceed with the EPA. The full opinion can be read here.